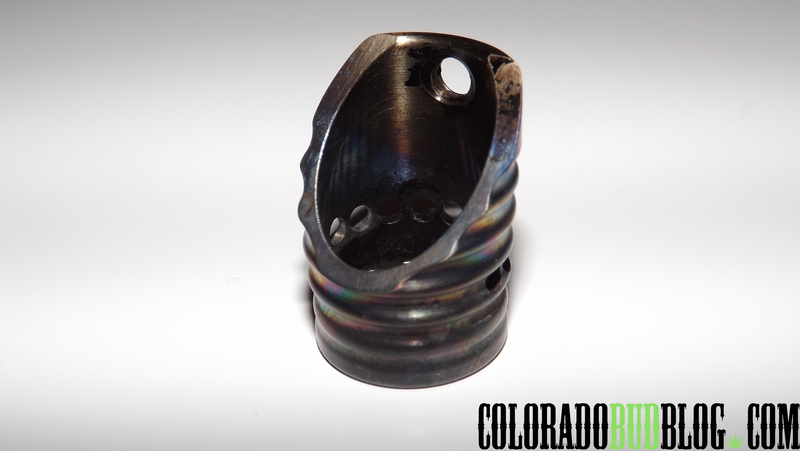 Today I bring you the 18mm Honey Bucket from Cosmic Direct, an American titanium product manufacturer. The first thing you notice about this is the extremely high quality materials they use and the top notch manufacturing of it. Everything is tight and is polished to shine. “Cosmic” is engraved on a few places, as well as a vicious looking Bee, to ensure the authenticity of the product. There are 9 holes in the bucket, providing incredible airflow. The size of the bucket allows for big hits. 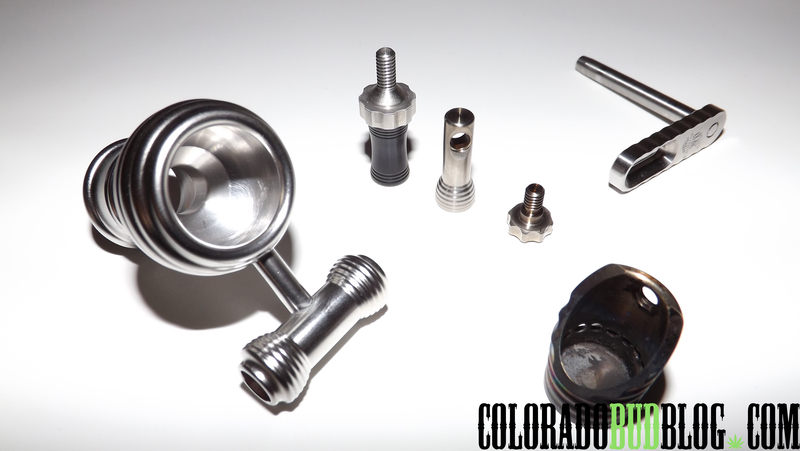 The joint/”honey pot” has a large hole, making clearing your piece very easy. The bucket swings on a titanium arm. Move the bucket with the black handle. 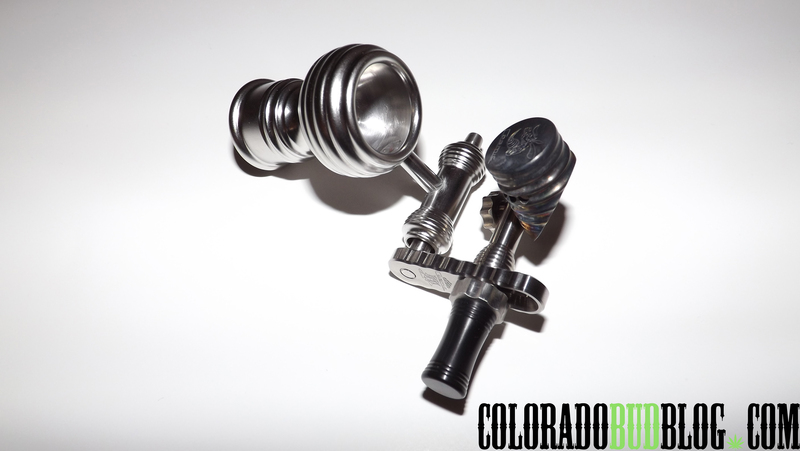 I prefer to grab by the handle and the joint on the arm, less stress on the glass joint. Swing it back down into the “honey pot” to take a hit. 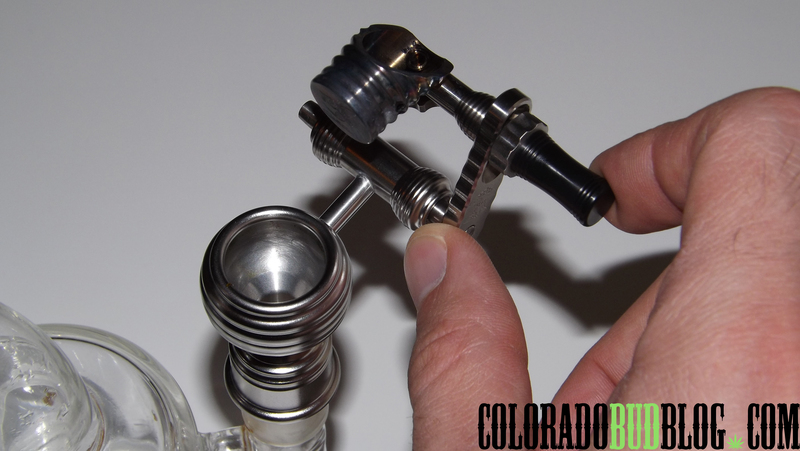 Dab tools easily fit into the bucket. In the end, the ONLY downside to the Honey Bucket that I can think of is the price: over $200.00! The quality of this thing speaks for itself though. 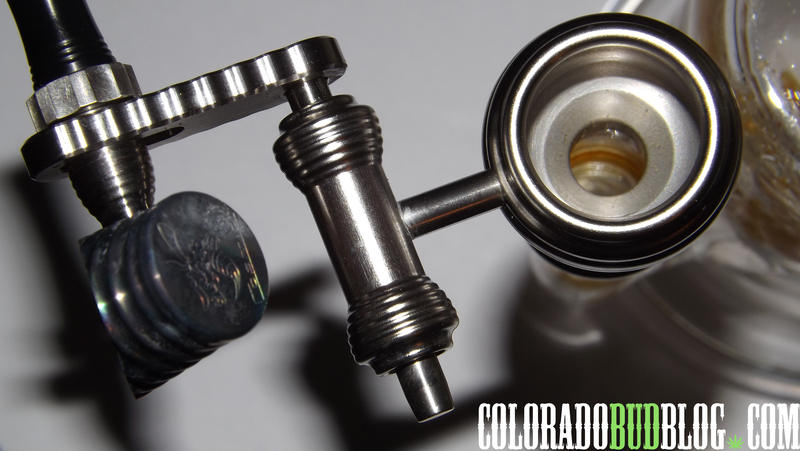 It hits great, fits snuggly, comes apart for easy cleaning, and it looks great on your rig. I must say that I am very satisfied with the Honey Bucket! 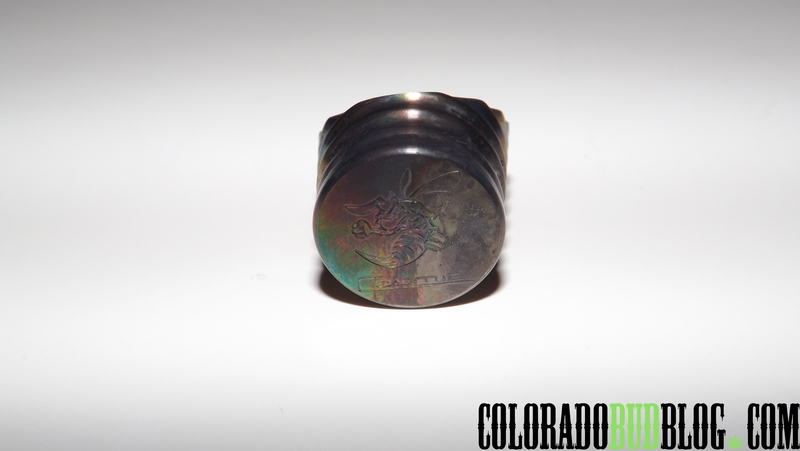 Check out Cosmic Direct online at http://www.cosmicdirect.com, http://www.facebook.com/cosmicgrinders, and http://www.instagram.com/cosmicdirect.